The 16th Earl of Warwick, Richard Neville, was in no uncertain terms involved in the Wars of the Roses. Born on November 22nd 1428 he came to be one of the most powerful men of his period, and presumably far more wealthy than King Henry VI, in whose life he came to play an important role, something the latter – due to his illness – maybe wasn´t aware of at all times. 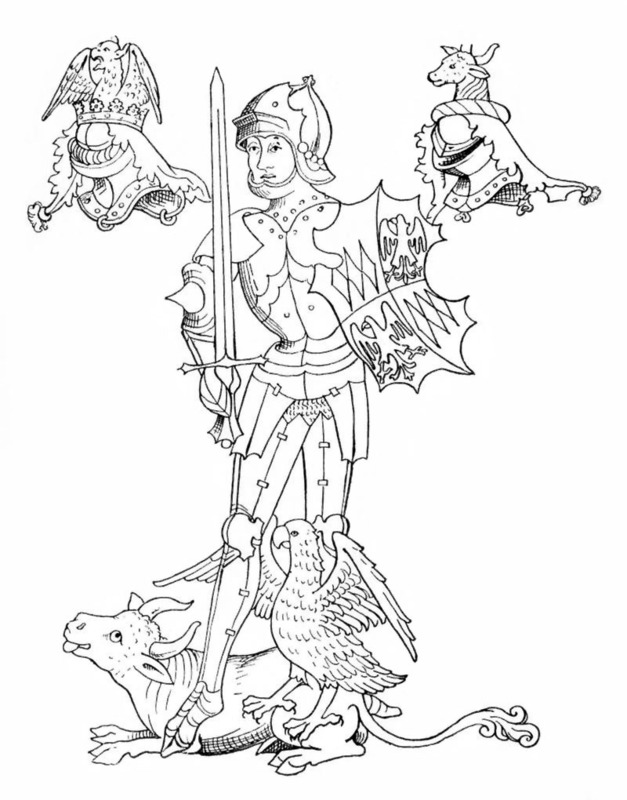 Richard Neville was knighted in 1445, most likely at the coronation of Margaret of Anjou. He came to be in the centre of power from the 1450´s and onwards, and was initially loyal to the reigning monarch, Henry VI. 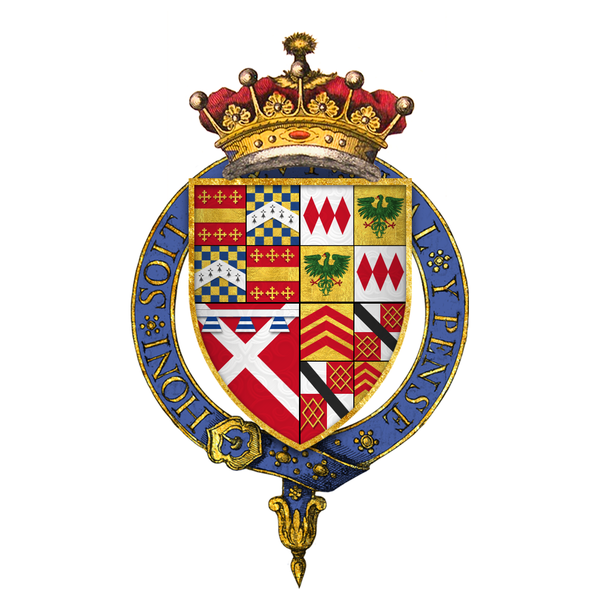 Due to a conflict with the Duke of Somerset, he however decided to pay allegiance to the Duke of Your, Richard Plantagenet, cousin to the King, father the three brothers Edward, George and Richard, as well as uncle by marriage to Warwick himself (who was thereby also cousin to the previously mentioned brothers). When it became obvious that Henry VI wasn´t well, Richard of York was proclaimed protector with Warwick by his side. Henry, however, recovered and resumed power for a while, only to lose it again at the first battle of St Albans where he also was apprehended. This battle was, compared to what was to come, relatively bloodless, but is seen as the first outbursts of violence between the Houses of Lancaster and York, and thereby the start of the Wars of the Roses. 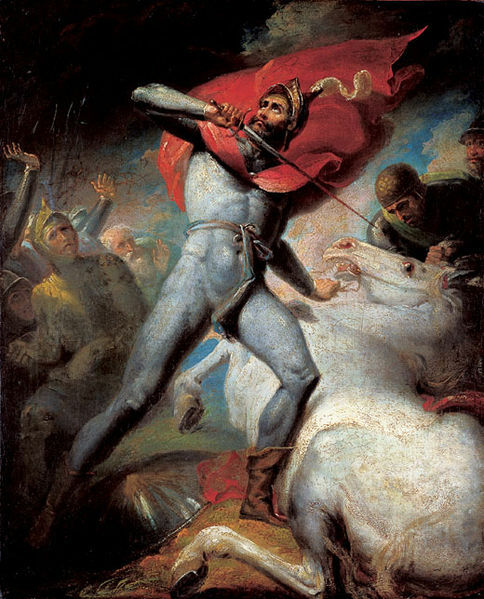 The king was captured and the Duke of Somerset practically hacked to death. Under this second protectorate Warwick received the position as governor of Calais. When the Duke of York died at the battle of Wakefield 1460, as did Warwick’s own father, the Duke of Salisbury, Warwick transferred his loyalty to Edward Plantagenet, the son of York and the man Warwick placed on the throne as Edward IV, the act that initiated his reputation as The Kingmaker. The foreign policy of Edward, an maybe most of all, his marriage to Elizabeth Woodville – which resulted in an extensive influence on English politics for her large family, both through marriages and appointments – created a vast rift in the relationship between Warwick and the King The marriage as such was also a disappointment to Warwick as he had negotiated with France to bring about a wedding between Edward and Bona, daughter of the Duke of Savoy and sister in-law to the French King Louis XI. While this didn´t entirely alienate the Earl, it was most definitely the beginning of the end. In 1466 Warwick was sent to France for negotiations with the French concerning a marriage proposal for the Kings sister Margaret while the door to Burgundy was also kept open. What might have been the final straw was when it, behind Warwick´s beck was decided that the “choice” had fallen on the Duke of Burgundy. The following year rumours started that Warwick was beginning to show Lancasterian leanings, and when called to answer the charge, he refused to return to the court in London, but sent a letter denying all accusations, something that was accepted by Edward. But this in combination with the kings refusal to let Warwick´s daughter Isabel marry George of Clarence further fuelled the conflict, and Warwick, his wife and daughters and Clarence soon found themselves in Calais where Clarence and Isabel were wed. They returned to England and joined the Robin of Redesdale Rebellion which had ensued in Yorkshire, orchestrated by Warwick himself while in France, and at the battle of Edgecote the Kings forces was defeated, the King taken under arrest and Elisabeth Woodville´s father, Earl Rivers, and brother executed. It turned out, however, that it was impossible to rule England without the King, and Warwick had no choice but to release Edward and reinstate him as king in 1469. A kind of deadlock ensued between Warwick and the King, and after yet another plot Warwick and Clarence once again fled the country. Calais was closed to them at this point, and they ended up at the French court, where a most unlikely collaboration unfolded. 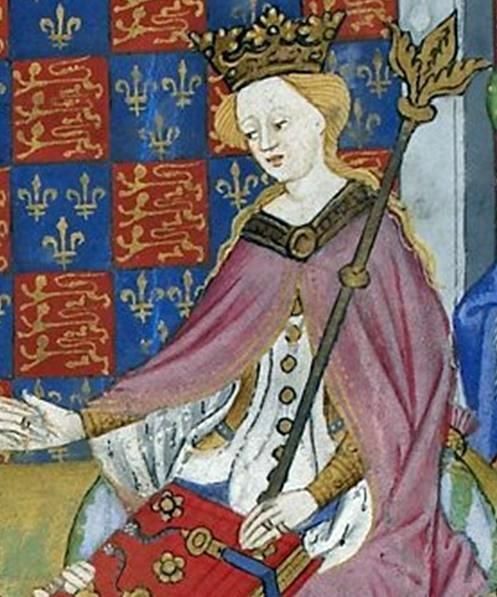 With the aid of King Louis XI an agreement was reached between Warwick and Margaret of Anjou, which aimed to regaining the throne for Henry VI as well as ensured the marriage between Margaret of Anjou´s son Edward of Westminster and Warwick´s youngest daughter Anne. time it was Edward who had to flee abroad. Warwick and Clarence landed at Plymouth and Dartmouth while Margaret and her troops were meant to arrive later. Henry VI was reinstated as King, but due to his mental illness Warwick ruled as in fact King. Margaret and her son had tarried in France and Warwick waited in vain for their troops, while the Yorkist´s re-grouped. 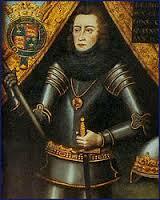 He died in the battle of Barnet on April 14th, 1471 at the age of 42. Ja det är lustigt att han bara var 42 för ofta tänker iallafall jag på honom som en gammal räv trots den lägre medelåldern. Eller hur? Det är samma med Richard III som ju bara var 33 år när han besegrades av Henry Tudor vid Bosworth. Jag vet inte om det har att göra med att de levde i en sådan turbulent tid att man tänker att de måste vara äldre för att så mycket ska hinna hända en människa. Ja. Ändå spenderade dessutom veckor bara på att förflytta sig. Richard tänker jag mest på som yngre än Warwick så det känns OK, haha. Det är sant. Warwick var ju från början allierad med Richards far, så det fanns ju en naturlig åldersskillnad där.